Star Trek Continues has begun production for their fourth episode of the award winning online series. The indie internet series has captured a lot of attention since releasing its very first episode “Pilgrim of Eternity” which saw the return of stage and film actor Michael Forest in the role of Apollo. He portrayed the Greek god in the TOS episode “Who Mourns for Adonis” 47 years ago. Episode two “Lolani” guest starred TV’s The Incredible Hulk, Lou Ferrigno while the third, “Fairest of Them All” answered that four-decade long question of what occurred after the return of the mirror Enterprise crew to the mirror universe. The online presentation has garnered top awards and some established names in the industry in a relatively short amount of time. Well known sci-fi actors such as Michael Dorn and Marina Sirtis of Star Trek: The Next Generation fame have lent their voices for the ship’s computer. Jamie Bamber, Apollo from Battlestar Galactica, did a stint for an episode, film and TV star Asia DeMarcos has a critical role in episode three as has TOS alum Bobby Clark and popular stage actress Diane Hale. The much loved Erin Gray popped in for a cameo as well. Actress Kipleigh Brown (Star Trek: Enterprise, Yesterday Was a Lie) will be returning for the fourth episode to reprise her role of helmsman Lt. j.g. Barbara Smith introduced in episode three. 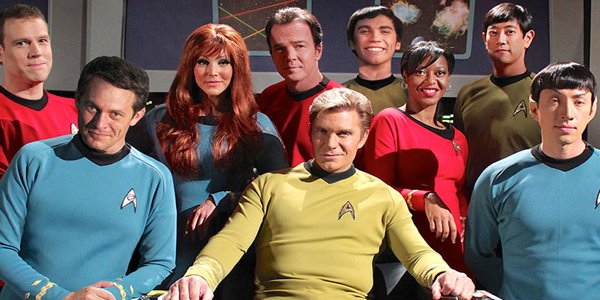 Visit the Star Trek Continues website for updates.